IBM is expanding its Cloud Consulting Services portfolio with customizable options and a number of fast-start industry solutions delivered as a service for cloud-based applications. IBM said this new strategy contrasts with the current "one size fits all" approach that most cloud providers offer when migrating businesses onto the cloud. 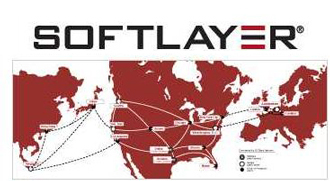 The fast-start industry solutions, which are hosted on a private cloud using SoftLayer and offered as a managed service through IBM Global Business Services, are designed for rapid deployment, implementation and experimentation in vertical industries – such as banking, insurance, retail, telecom and energy and utilities. One example is the IBM Insurance Service Hub Cloud – a communication platform on the cloud that connects health insurance companies with multiple data providers such as clinics and physicians, as well as customers via their mobile devices. Managed and hosted by IBM, the Insurance Service Hub Cloud replaces the traditional bilateral paper-based data exchange with digital information delivered in one standardized interface. "Delivering more personalized services to customers with greater speed is a significant priority for businesses today," said Sanjay Rishi, Managing Partner, IBM Cloud Consulting Services. "In the era of cloud, the agenda of front office decision makers places a premium on flexibility and the ability to experiment. 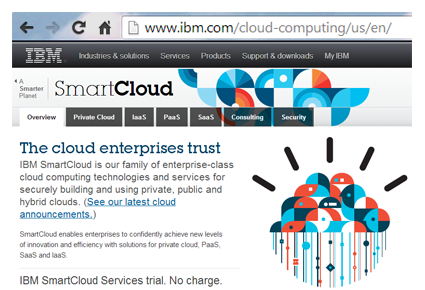 With these new cloud offerings, IBM will help front office leaders rapidly deploy business content for business value." IBM noted that since 2007 it has invested more than $6 billion in acquisitions to accelerate its cloud initiatives. F5 Networks confirmed that its BIG-IP product suite is providing network traffic and security management services for the new Verizon Cloud. Specifically, Verizon embedded F5’s suite of application services into Verizon Cloud Compute, its new infrastructure-as-a-service (IaaS) platform. As part of this solution, F5’s BIG-IP Global Traffic Manager connects isolated environments and intelligently directs users to the best-performing data center to maintain high application performance. In addition, Verizon Cloud utilizes the advanced capabilities of BIG-IP Access Policy Manager® that allow for consistent deployment and enforcement of the policies governing security. These capabilities enable enterprises to confidently take advantage of the benefits Verizon Cloud has to offer. Enterprises using Verizon Cloud can maintain consolidated security credentials to access business applications and networks globally. 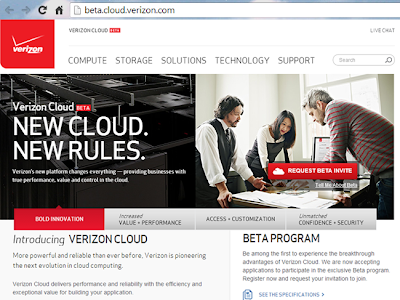 The companies said this use of network functions virtualization (NFV) demonstrates the core vision of the Verizon cloud, allowing clients to deploy best-of-breed, enterprise-ready virtual appliances that provide high levels of security, configurability, and flexibility to meet their demanding enterprise workloads. In October, Verizon introduced its new cloud Infrastructure as a Service (IaaS) platform and cloud-based object storage service, saying its ambition is to fundamentally change how public clouds are built so that large enterprises, mid-size companies and small development shops can get the agility and economic benefit of a generic public cloud along with the reliability and scale of an enterprise-level service. Procera Networks' Network Application Visibility Library (NAVL) features next-generation Deep Packet Inspection (DPI) technology, providing real-time, Layer-7 application classification and metadata extraction for network traffic. 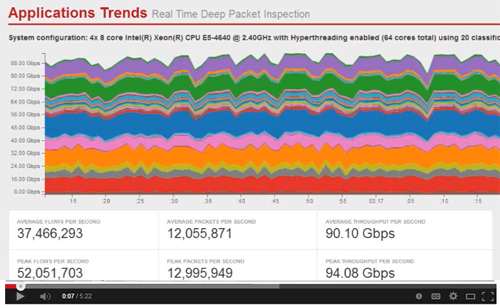 NAVL uses a combination of deep packet inspection and application classification techniques to deliver industry leading coverage and accuracy of network traffic. Verizon Wireless marked the three year anniversary of the launch of its LTE network (05-Dec-2010). The Verizon LTE network now extends to over 500 markets across the U.S., covering a population of 303 million in 50 states. With its initial rollout complete, Verizon Wireless is now adding Advanced Wireless Services (AWS) spectrum capacity nationwide. During Q3 2013, Verizon Wireless added 6.8 million LTE devices, bringing its total to 36 million LTE devices on-net and representing 37.8% of its base. Over 64% of total data traffic was riding the LTE network in Q3. Reliance Globalcom has upgraded its FA-1 North submarine cable system with 100G wavelengths using Ciena’s converged packet optical and GeoMesh solution. The undersea network now supports low-latency OTN and 100GbE client services between London and New York with greater capacity to meet soaring bandwidth demand. The upgrade complements Reliance Globalcom’s deployment of Ciena’s GeoMesh technology on its FA-1 South submarine network that links New York to Paris, allowing the provider to offer additional capacity on two diverse routes across the Atlantic. 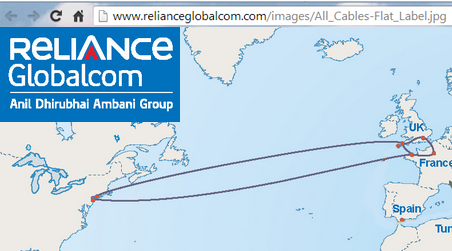 Reliance Globalcom can now support trans-Atlantic OTN-based client services from 10Gb/s to 100Gb/s across its FA-1 North network link. Additionally, under Reliance Globalcom’s recently launched Optical Wave Service, 100GbE/OTU-4 services can also be provided between continental points of presence (PoPs) in London and New York. Ciena’s GeoMesh solution are built on its 6500 Packet-Optical Platform powered by WaveLogic coherent optical processors. 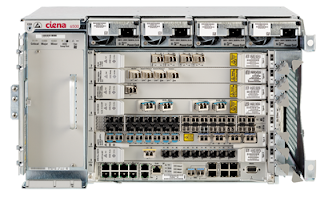 Additionally, Ciena highlighted the programmability of its WaveLogic technology to meet differentiated service and latency requirements, carrying traditional SDH/DWDM as well as OTN-based applications over the same platform. "Growing requirements for access speed in broadband Internet, the digitalization of information, and cloud-based applications continue to drive the need for bandwidth demand. By making strategic upgrades with market-leading technologies such as those provided by Ciena, we are ensuring that we meet this demand in a highly-efficient and cost-effective manner, while providing a superior service experience to our customers. This deployment further builds upon a long-standing relationship with Ciena to support Reliance Globalcom’s strategic capacity upgrades on its submarine network," stated Punit Garg, President and CEO, Reliance Globalcom. 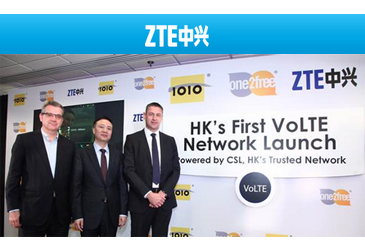 Hong Kong's CSL has activated VoLTE in its network using ZTE's 4G and IMS solutions. The full commercial launch is expected to take place in the first half of 2014. ZTE’s IMS solution supports eSRVCC (enhanced Single Radio Voice Call Continuity), delivering smooth handovers between voice calls on 4G and 3G networks for CSL’s VoLTE service. Customers can also access CSL’s 4G mobile data services simultaneously, while conducting VoLTE calls ensuring improved usability and a high-quality experience. Customers will also be able to enjoy faster call setup speeds compared with 3G. “We have worked closely with CSL to deliver this state of the art VoLTE service to its customers, and will continue to maintain CSL’s leading network position for the Hong Kong market,” said Shi Lirong, President of ZTE. 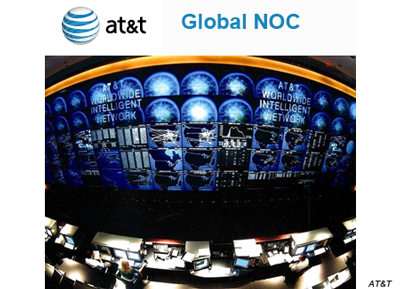 AT&T and Bharti Airtel signed a Network-to-Network Interconnect (NNI) agreement that will give AT&T customers access to more than 100 cities across India via Bharti Airtel’s more than 130 MPLS-enabled IP Network nodes. AT&T previously operated 8 MPLS network nodes in India (Delhi / National Capital Region, Bangalore, Mumbai, Chennai and Hyderabad). The Open Networking Foundation (ONF) has appointed Sarwar Raza, director of Cloud Networking and SDN in the Advanced Technology Group within the Networking organization at HP, as chairperson of the Northbound Interfaces (NBI) Working Group. The NBI Working Group was established in October 2013 and is designed to develop information models for NBIs, validated by prototyping and gaining end-user feedback on selected examples with real code. Initial information modeling for the NBI Working Group will be completed in 2014. Researchers at the Ecole Polytechnique Fédérale de Lausanne in Switzerland have discovered a way to increase the capacity of fiber optic cables by optimizing the shape of each photonic pulse. 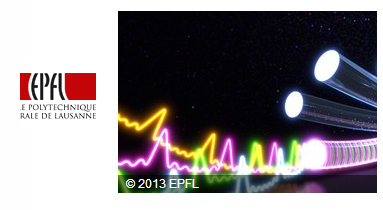 The breakthrough produces "Nyquist sinc pulses" almost perfectly. The pulses have a pointed shape, which enables them "to fit together tightly like the pieces of a jigsaw puzzle." By reducing the spacing between pulses, more data can be transmitted in the same period. The researchers claim a 10X improvement in throughput using a simple laser and modulator to generate a pulse that is more than 99% perfect. "These pulses have a shape that's more pointed, making it possible to fit them together, a little bit like the pieces of a jigsaw puzzle lock together," says Camille Brès of the Photonics Systems Laboratory (PHOSL). "There is of course some interference, but not at the locations where we actually read the data." Microsoft launched a Windows Azure Region in Brazil. Brazilian customers will experience reduced latency for Windows Azure cloud services. They will also have the ability to keep all of their data within the national borders of Brazil. Microsoft's Locally Redundant Storage (LRS) can ensure three copies of customer data are replicated inside the country. Equinix is continuing its expansion with the opening of a new data center in Osaka, Japan. The new carrier-neutral facility - called OS1 — was opened in partnership with K-Opticom, one of the largest access providers in the Osaka/Kansai area, and Kanden Energy Solutions (KENES) with support from O-BIC, an Osaka government agency that supports foreign-owned companies establishing businesses in the region. The first phase of OS1 will offer an initial 320 cabinets, expanding to over 800 in 2014. Customers inside OS1 will have access to more than 950 domestic and international carriers, establishing Osaka as a global network hub by directly connecting to Dojima, the network core in Osaka. “The opening of our first data center in Osaka with the support of K-Opticom, KENES and O-BIC allows our customers around the globe with a diversity of networks and connectivity options in Osaka, driving synergies with our Tokyo operations. With the two key hubs in Japan, cloud, content and network providers, as well as financial services firms, can access the broadest choice of networks in the region, enabling them to rapidly and cost effectively expand their business, while better serving their international customers,” stated Kei Furuta, managing director of Equinix Japan. In August 2013, Equinix opened of its fourth International Business Exchange (IBX) data center in Japan, located in Ōtemachi, Tokyo. The new data center has a total capacity of 750 cabinet equivalents with 450 cabinets available in the first phase. Equinix said the facility is an earthquake-resistant building in one of the most secure locations in Tokyo with multiple anti-disaster measures.